What Is a Storyboard and How Do You Make One? What Is a Storyboard and How Do You Make One for Your Video? While we all enjoy watching videos, whether live-action or animation, Hollywood blockbuster or YouTube clip, it’s only when we consider making one that we begin to think about what goes on behind the scenes. A very important part of video production is the storyboard, but… What is a storyboard? To answer that, we have to go all the way back to the 1930s when one man (and one mouse) changed the entertainment industry forever. Walt Disney was a pioneer of many things. He made the first feature-length, hand-drawn animated film, he invented audio-animatronics, and he also developed the first storyboard. It cost around $1.49 MILLION to make Snow White and the Seven Dwarves, and when you’re making something that costly and time-consuming, you’re going to want to keep mistakes to a minimum. That’s where storyboards come in. In simple terms, a storyboard is a sequence of sketches or illustrations that map out the scenes planned for a video. The video production team can then follow this map to ensure that their plot is coherent, engaging, and free of inconsistencies before they start making the video. Although videos can be made for much less these days, a storyboard is still an essential component of production to avoid any unnecessary costs or delays. What Does a Storyboard Look Like? These simple pencil-sketches, paired with written explanations of what the characters will be doing in each scene, help to assist the animation team in following the sequence correctly. This storyboard of the famous shower scene in the movie Psycho doesn’t include any directions for the production team. Instead, it goes into much more detail visually, showing every single shot exactly as it is intended to appear in the film. Even though they use digital animation, Pixar still map out their movies with a frame-by-frame storyboard to ensure they don’t make any mistakes when animating the real thing. Although it is a live-action film, X-Men 3 uses a lot of CGI, so a colourful storyboard like this one can help the production team to get the special effects just right. Of course, all of these examples are from big, well-known productions, but storyboards are essential for ALL forms of video production, from music videos, to advertisements, to explainer videos. The examples above show that there are many different ways you can create a storyboard. It all depends on the type of video you are making and who is involved in the creative process. For example, if you are making a video as a one-person team then you won’t necessarily need a shot by shot storyboard because you will know exactly how you want the video to play out. On the other hand, if you are working with a team of creatives and also a client then your storyboard will need to be more clear and detailed so that everyone understands how the video will look. Traditional storyboards involve a series of conceptual pencil sketches that help the writer, producer, and director to visualise their initial idea before any filming or animating starts. Traditional storyboards are still very common in the TV and movie industry today as they allow for changes to be made quickly and inexpensively. A thumbnail storyboard is usually used by a small team–or even a team of one–who already have a good understanding of how they want to visually portray their idea. These are very quick and easy to create as no text is required and the sketches don’t need to be particularly detailed. A perfect example of a thumbnail storyboard would be Hitchcock’s Psycho storyboard above. A digital storyboard is perfect for animated videos because you can use the exact graphics that will be shown in the final video, allowing everyone involved to have a clear picture of what the end product will look like. We use digital storyboards at Wyzowl because all of our graphics are custom made for our clients and it is important to make sure these are accurate before we start animation. This ensures that there are less changes later down the line and it also allows our clients to have more of an input on how their video will look. And here is the video, notice we use the exact same graphics featured in the storyboard so there are no surprises for our clients! If you want to be really thorough, you can make a series of storyboards that get progressively more detailed. Start with a thumbnail storyboard, then add some text to build it into a traditional storyboard. Then, once you’re happy with that, create your storyboard digitally so that you have a strong, clear vision to follow. Why Do You Need a Storyboard for Your Video? Video is a visual medium. Is she short or tall? Is her brunette hair long? Messy? Braided? Does she look funny while she dances? What does the space around her look like while she dances? The list is essentially endless. 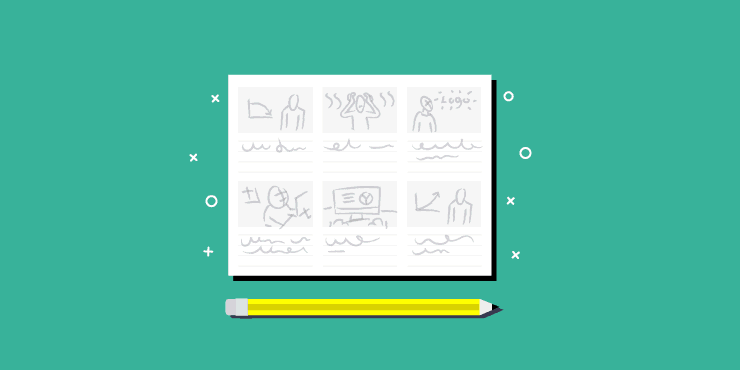 A storyboard will help you organise all of these thoughts and take ideas from all stakeholders so that you can plan your video more effectively. Without a storyboard, you could lose time and money re-animating or re-shooting your video. If there are disagreements between your team, or if changes are required, then it’s much easier to make them at the storyboard stage than when the video has been filmed or animated. The storyboard is your opportunity to perfect the visuals before you go ahead and create the video. Now, considering that there are different types of videos and different types of storyboards, there are also different ways to make a storyboard. Here, we’re going to give you a run-down of every step involved. It’s not always essential to follow every. single. step. so feel free to skip one or two if it doesn’t apply to your video. At this stage, it is important to plan how many panels your storyboard will have and number each one to ensure there is no confusion in the timeline of your video. This step is particularly important if you are working with a client. Visual style is something that doesn’t necessarily come across through a script, but needs to come across in a storyboard. Going back to the example of the dancing brunette character, the visual style would determine what clothes she wears and what the scene around her looks like. After breaking your script down into numbered scenes and determining your visual style, it is a good idea to create a list of things you need to draw. Although certainly not essential, this step will help to ensure that nothing is missed from the script and it will also allow you to think about the extra details you want to include in your video before you start recording or animating. This is the fun part! Choose the type of storyboard that will work best for your project and start drawing. If your video is live-action, then we recommend sketching your storyboard on paper; and if it is animated then we recommend creating a digital storyboard with software like Adobe Illustrator or a similar equivalent, such as Inkscape or Gravit. Once you have completed the visual part of the storyboard, add text to each scene so that everyone who is going to review the storyboard can follow it. This could be voiceover, character dialogue, or even just a brief description of what is happening in each scene. It’s also important to add notes that will direct your animators or videographers. For example, if you want to see a zoom, a pan, a tilt, or a specific transition, add this to your storyboard to inform your team. The final step in creating a storyboard is to review it with all stakeholders. One of the most important functions of a storyboard is to prevent costly or difficult changes at later stages in the production, so feedback is very important here. Gather feedback from everyone involved and then apply any necessary changes to the storyboard. When everyone is happy, you can move forward to animating/filming! 5 Storyboarding Tips & Tricks! Your storyboard is NOT the end product, so don’t agonise over every little detail. You don’t need to create a new sketch every time one of your characters blinks, you just need to highlight the main points of action on screen. Storyboards are maps for the rest of your production team, and maps need to be easy to read if you don’t want to get lost. By numbering your panels you make your storyboard easy to follow and ensure that the storyline of your video is coherent before you start recording or animating. The storyboard process is the first time that anyone in your team is going to see a visual representation of your script, so when creating your storyboard be sure to spend time going over the script and thinking of the most imaginative way to portray the story visually. Your storyboard needs to be seen by all stakeholders before you start recording or animating your video. If not, you could find yourself making some costly changes that could have been easily avoided. Gather feedback from your entire team and make tweaks to your storyboard until you’re all happy enough to move forward. But keep in mind that too many cooks can sometimes spoil the broth! 5. Have Fun with It! Being creative and making videos should be fun! Although there is a lot to think about and consider, try to also take a step back and enjoy the process. If you enjoy making your video, that enthusiasm will shine through to your viewers. A storyboard is a vital component of video production. It’s a sequence of sketches or illustrations that allow you to map out the key scenes planned for your video before production begins. This allows you to avoid mistakes that may require you to reshoot or reanimate your video, resulting in delays and added costs. For more information about the different stages of video production and how it all works, take a stroll through our blog. How Much Do Different Types of Explainer Video Cost? Thinking of getting your own video? 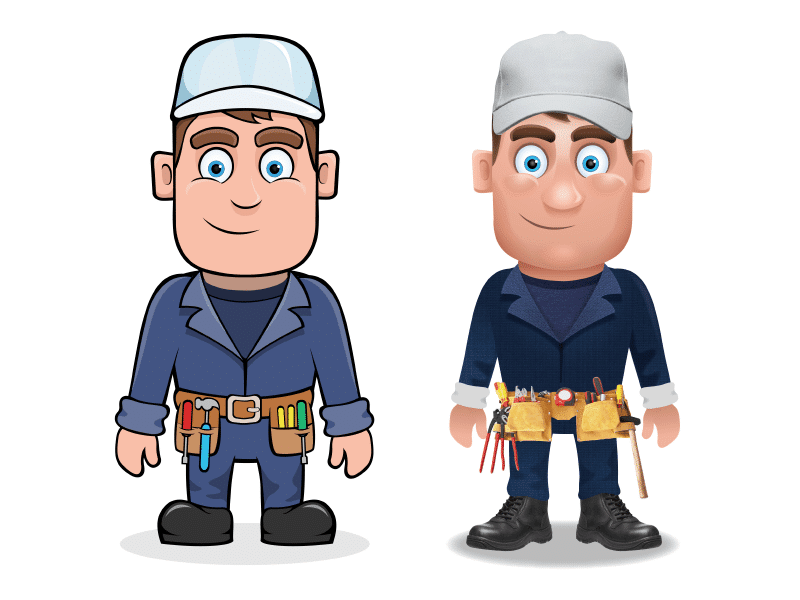 Check out our animated videos page for more information and video examples.